In Royal blue with a tan re-lace. This thing is now at least 4 seasons old. Hosmer’s Heart of the Hide glove from Rawlings is discontinued, but the custom option at the link is almost identical—except for the Gold Glove patches and the 4-year-in-the-sun fade that he’s got. For that you gotta pick it like Hos. 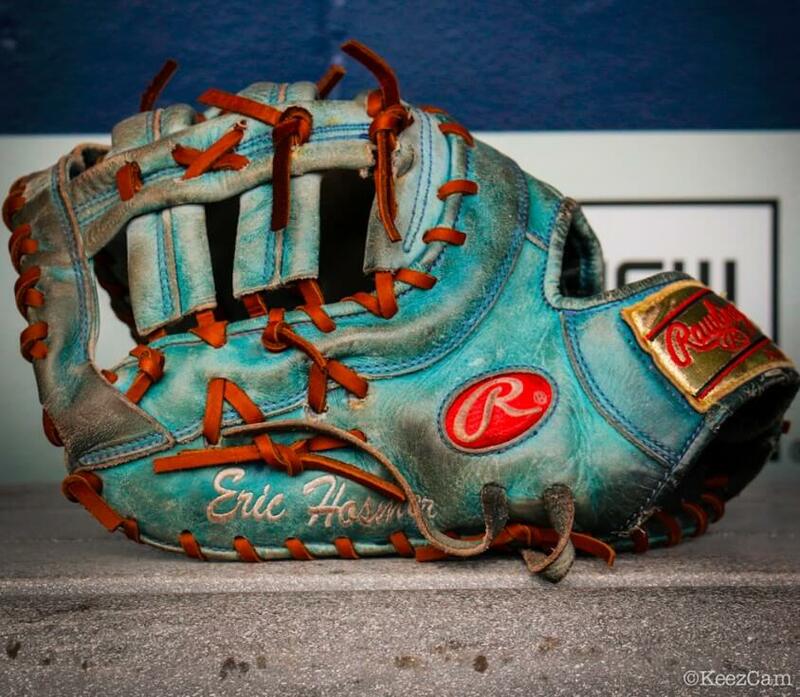 Categories: Gear, Kansas City Royals, Glove, First Base, Eric Hosmer.